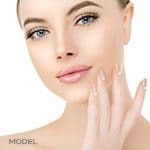 MilfordMD Cosmetic Dermatology Surgery & Laser Center has announced it is hosting a “lunch and learn” on the latest in facial rejuvenation, Wednesday, October 25, from noon to 1:30 p.m. The special event luncheon at the MilfordMD practice in Milford, Penn., is free and open to the public. 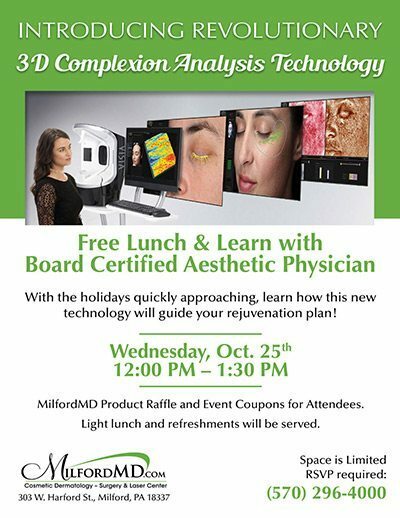 Come chat with Dr. Marina Buckley, Board Certified physician at MilfordMD at our October 25th lunch and learn on facial rejuvenation, featuring a live demo on the latest in 3D complexion analysis! Dr. Buckley and the staff will also introduce its new VectraXT device, by Canfield. 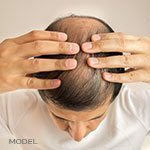 Vectra technology uses 3D imaging to transform a person’s face, breasts or body, to a realistic version of what they might look like after procedures. The device’s ultra-high resolution captures the smallest details, she says. Attendees will receive coupons for a free Visia analysis, a $99 value, and a complimentary cosmetic consultation, a $150 value, both valid through December 20, 2017. There also will be a raffle for a MilfordMD tinted sunscreen, valued at more than $45. “People can come to the lunch and learn, think about what they’d like to do and have procedures done in time to look their best for the holiday season,” she says. A light lunch will be provided. The MilfordMD staff is taking reservations now, and space is limited. To RSVP call MilfordMD at (570) 296-4000.